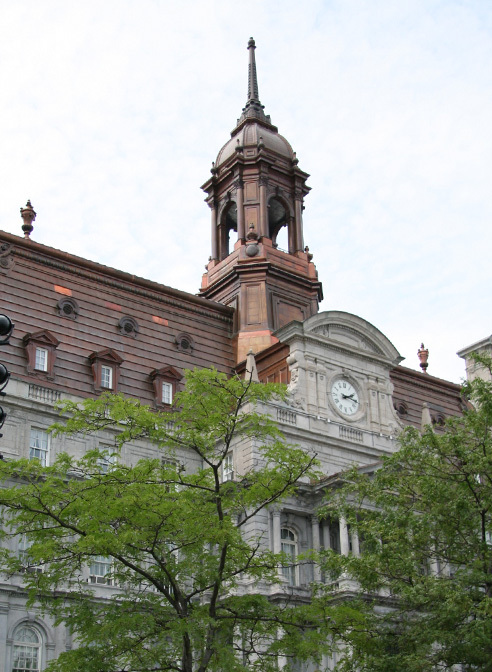 The beautiful copper mansard roof of the Montreal City Hall building (or Hôtel de Ville de Montréal) is a standout feature among the city’s skyline. Initially built between 1872 and 1878, this building did not originally boast a copper roof. 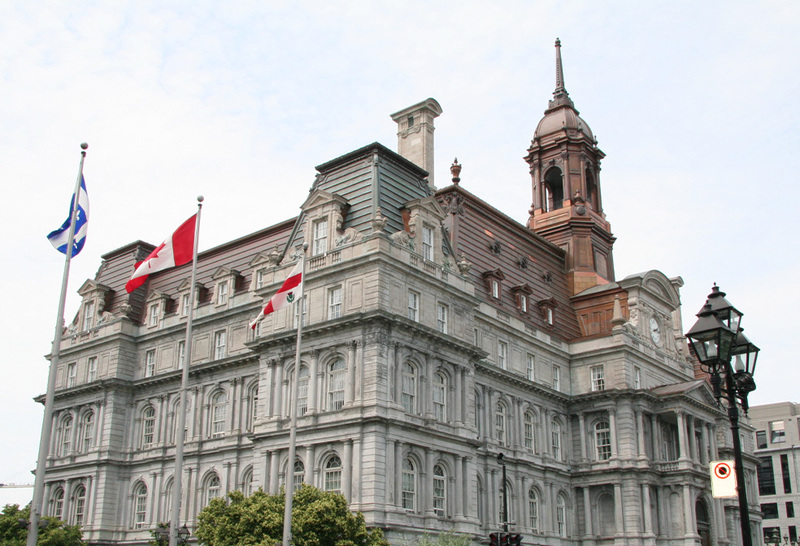 Until 1922, when much of the building was ruined by fire, Montreal City Hall had a slate tile roof. When architect Louis Parant was commissioned to reconstruct the historic building, he opted to replace the original slate roof with a beautiful new copper roofing system. Over time, however, the roof began to deteriorate. 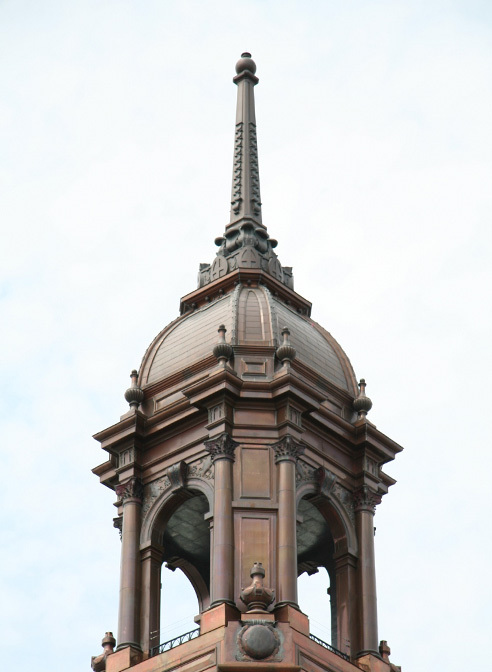 In order to preserve the building’s function and historic significance for years to come, a complete restoration of this incredibly detailed structure including the numerous decorative stamped copper elements was necessary. 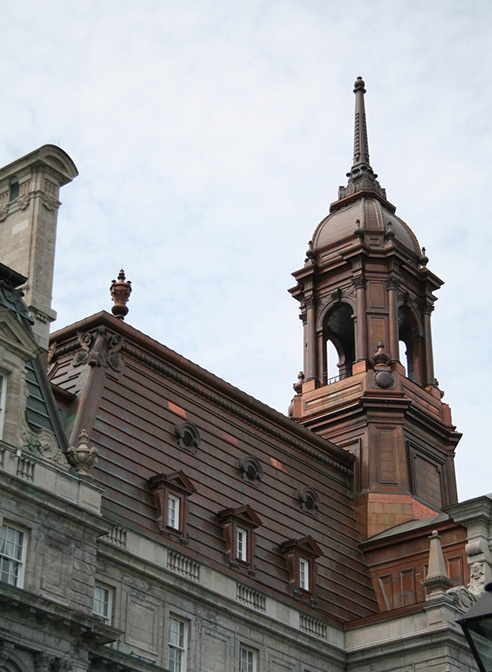 Along with local contractors Toitures Trois Etoiles of Montreal, Heather & Little completed most of the decorative finishing elements for the copper mansard roof and bell tower found atop Montreal City Hall. 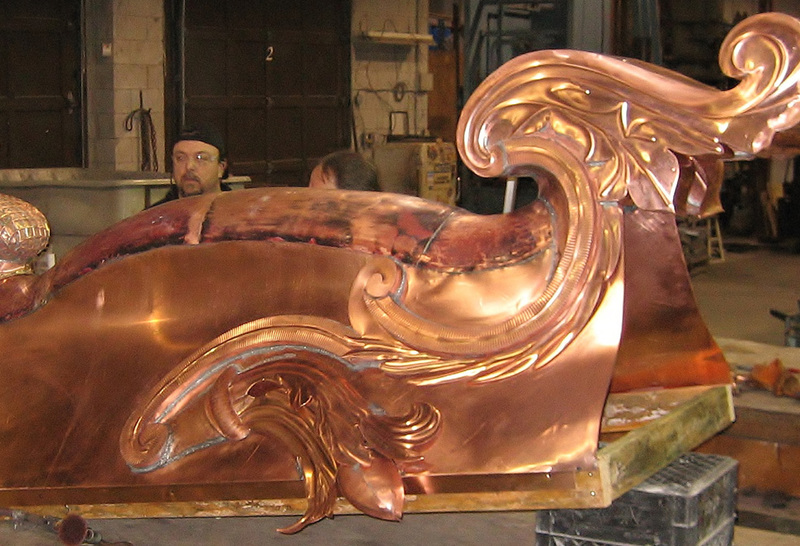 Using 20-, 24- and 32-ounce sheet copper, our team reproduced other decorative roof features including roof finials, copper urns, and copper balustrades. 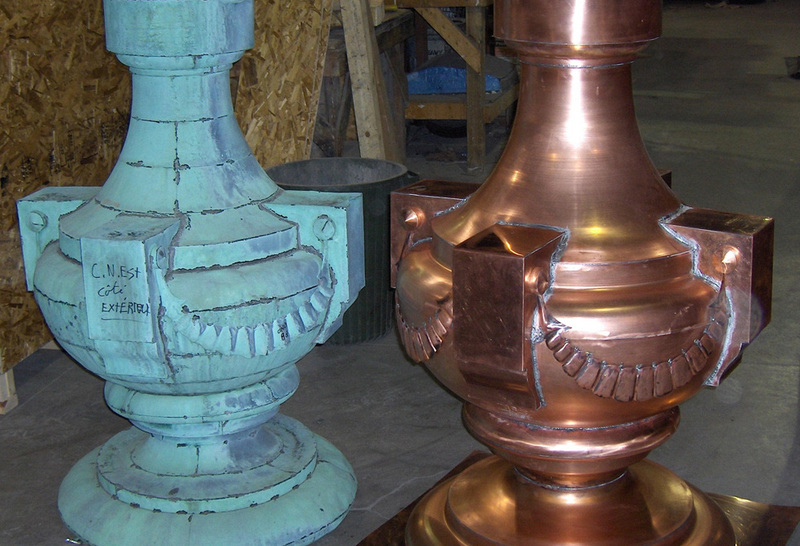 Each of these pieces was carefully replicated using the original copper elements from the building. 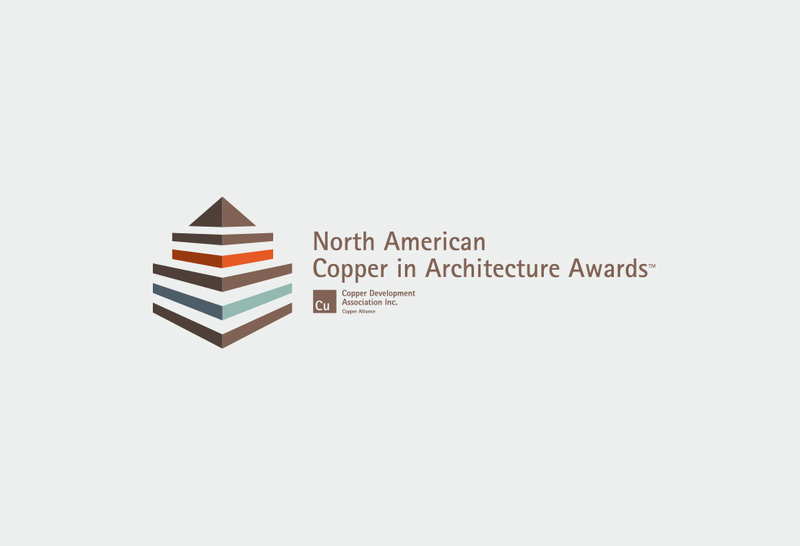 We are pleased to note that the Montreal City Hall copper roofing project received the North American Copper in Architecture Award (NACIA). Additionally, Heather & Little worked on the decorative stamped sheet metal on this project as well. Please take a look at the images below to learn more about this historic copper roof restoration project.